Johnson Controls (NYSE: JCI) is slated to post its second quarter results on May 1, wherein a rise in both revenues and earnings is expected. In its first quarter, the company was able to deliver a positive earnings surprise, on the back of impressive organic top-line growth in the buildings segment. The solid growth in this segment can be expected throughout the financial year, given the promising underlying trends. The adjusted EBIT may be negatively impacted as a result of the Scott Safety sale. Despite this decline, JCI’s EPS is expected to improve, helped by the synergies from the Tyco merger and productivity initiatives implemented by the company. We have a $45 price estimate for Johnson Controls, which is higher than the current market price. The charts have been made using our new, interactive platform. The various driver assumptions can be modified by clicking here, to gauge their impact on the EBITDA and price per share metric. North American non-residential construction market grew steadily, led by the institutional vertical. Recent strength in Asia, the Middle East, and North America resulted in a strong global demand for JCI’s HVAC equipment. Rebound in global oil prices helped to ease budget constraints in the Middle East, aiding the release of some large infrastructure projects in the region. With China being one of the fastest growing regions, JCI focused on developing innovative products, and expanding its presence, gaining market share as a result. Increasing electrification of vehicles resulted in an expanded adoption of the company’s start-stop technologies globally. This was reflected in the global shipments of start-stop batteries increasing 20%, with another quarter of strong growth in the Americas and China. This encouraging global environment should aid JCI in continued revenue growth momentum through FY 2018. North America: Sales grew 3% organically to $2 billion in Q1, led by high single-digit growth in the commercial HVAC and controls businesses and mid-single-digit growth in the solutions businesses, while fire and security field revenues declined modestly in the quarter. While EBITDA was flat in the quarter, the margin declined 50 basis points due to an 80 basis point headwind from lower margin backlog conversion and a headwind from sales force additions. On the other hand, orders were up 4%. This growth can be expected to continue through the year, given the positive underlying trends, as mentioned previously. Europe, Middle East, Africa, and Latin America (EMEA/LA): Sales increased 4%, with solid performance across all the regions. 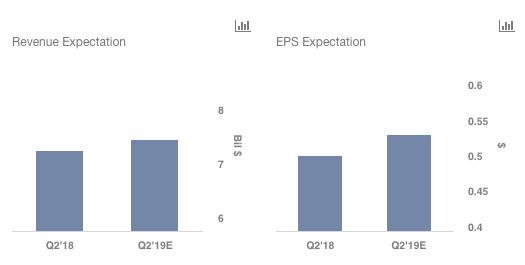 This segment was able to deliver EBITDA and EBITDA margin growth, primarily driven by cost synergies and productivity, as well as modest volume leverage. Asia Pacific (APAC): Sales were up 2% organically, which is a little bit disappointing given the presence of high growth regions such as China and India within this segment. The company noted that pricing remained pressured in China as a result of a high level of competition. However, the company is undertaking steps, such as those mentioned earlier, and will focus on cost actions to reduce the pressure on margins. On the other hand, orders were up an impressive 9%, driven by strong growth in China, Northeast Asia, and India.